Let the shoes do the talking with a pair of men's formal shoes from Jules B online. The derby shoe is an excellent alternative to an Oxford, and the perfect choice to add to your working repertoire or as men's wedding shoes. Available in a variety of classic hues as well as plush suede and luxurious leather designs, our range features Jeffery-West derbies with their notorious devilish style, Paul Smith shoes that offer a wonderful versatility, or why not opt for true expert craftsmanship in our Oliver Sweeney shoe collection. With a whole host of sough-after labels to choose from, our offering is sure to have the perfect pair of men's dress shoes to add a touch of class to your formal attire. 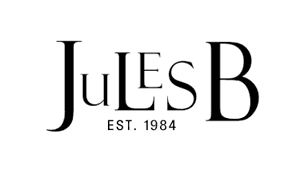 Shop the full footwear range at Jules B today, featuring a variety of shoes, boots and trainers to match your fashion profile.